The goal of the library media center is to encourage enjoyment of literature, provide access to different sources of information, and assist faculty and students in retrieving information.The program strives to provide resources that support the enhancement and development of our state curriculum in addition to providing a wide variety of materials that support and reflect the varied interests, values, points of view, ethnicities, socioeconomic characteristics, and academic abilities of our school community. Each class visits the library for a 45 minute period each week for library instruction. In addition, students may also visit the library on Wednesdays to check out books. See the attached files for the library schedules. The media center has 3 computer workstations, which allow students to access online resources. There are 22 iPads that students are able to use during their library class times. 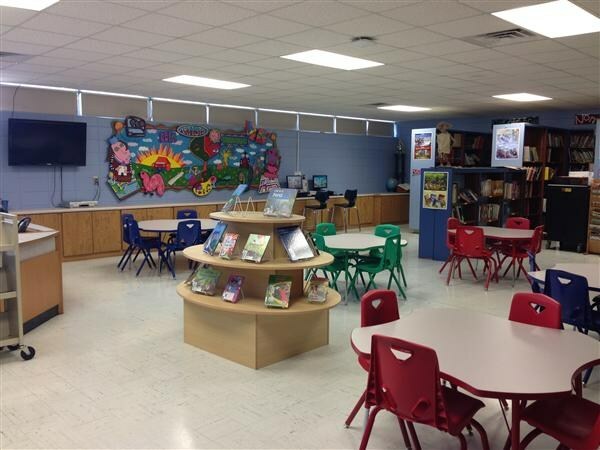 Our library is fully automated and networked thus allowing students, teachers, and parents access to the online catalog from the classroom or home. Click the "Search the Library" tab to access the online catalog.